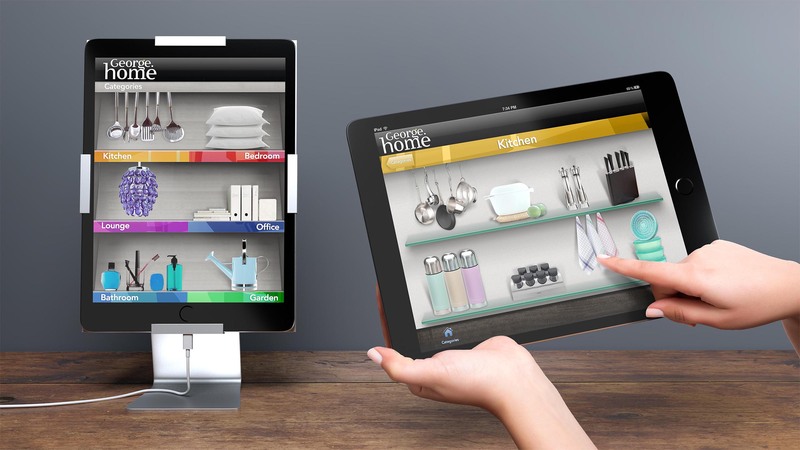 How to position a leading UK retailer’s homeware range. We have always had a long standing relationship with Asda so when the brand team asked our advice on how to build a great selection of home products into a brand that would inspire shoppers and drive incremental sales (moving Asda to number 1 in the non food retail market)….we got our thinking caps on. Was to leverage the power of their already successful brand, George. 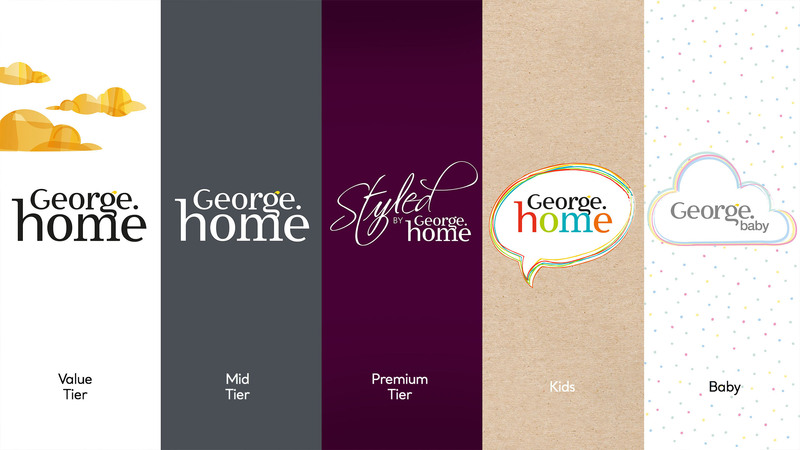 We created the George Home identity and wanted our design to show what a loved and lived-in George home looks like. 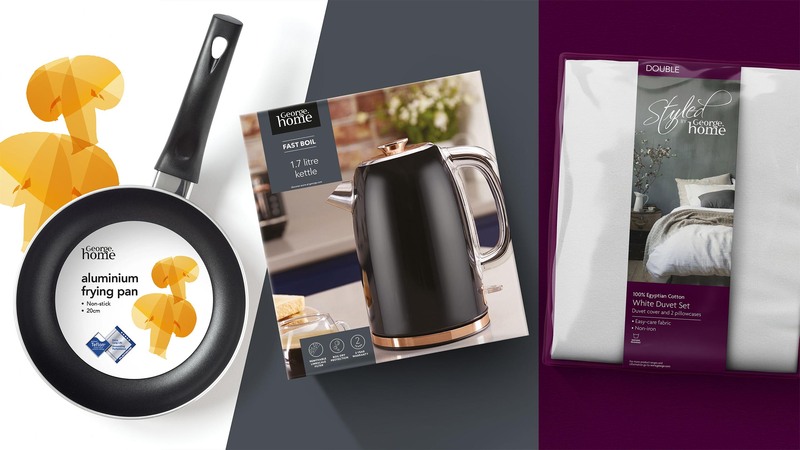 We helped shoppers explore the whole range and encouraged them to buy into the look by cross selling complementary items through our aspirational lifestyle photography. 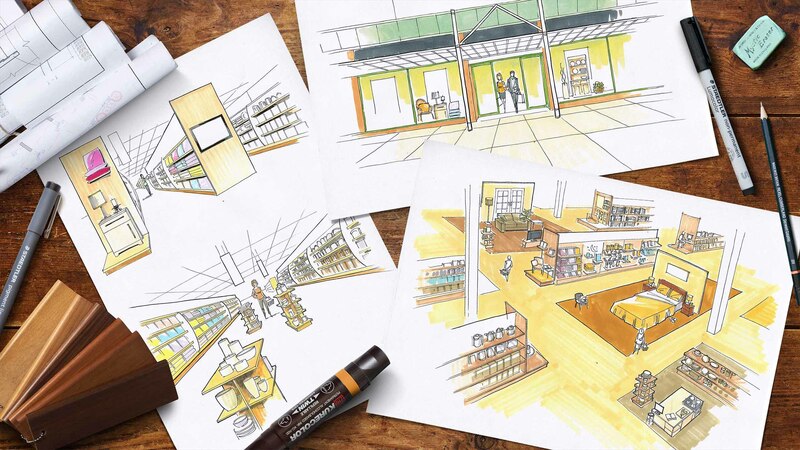 We explored the instore environment and how upgraded shelving and store layouts could encourage more browsing. Making a complex range look simple…We retained George’s black house colour and created design solutions for OPP, Mid Tier and Top Tier products with obvious clear water between the three. 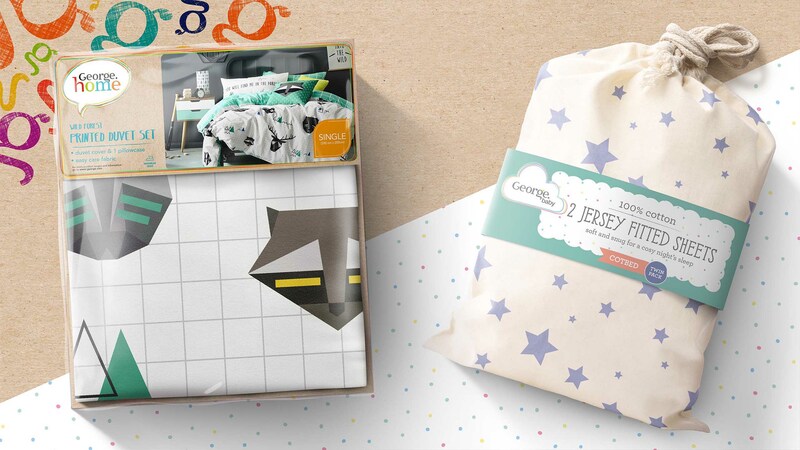 Kids and Baby were also created as part of the portfolio. A bold design execution with focus on the product story achieving confidence and authority. Full Range Audit & Recommendations.